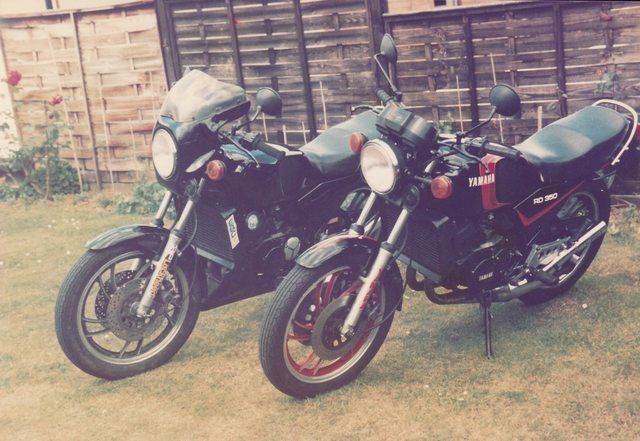 Couple of pictures of me, and my brothers bikes from back in the day, 80's. 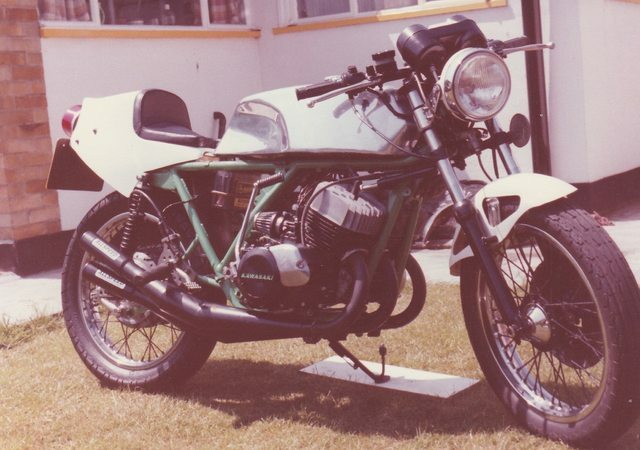 Later incarnation with H1B engine. S2 350, rattle can paint job, loud expansions! With my brothers' Stealth 350LC. 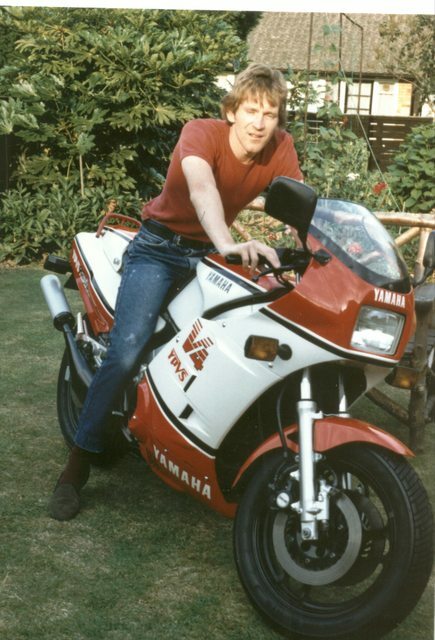 Brother on his RD500 YPVS. Not as much as I'd hoped it to be, unfortunately...It certainly had the aggressive look I wanted, but it suffered from bad vibration. As it hit the powerband, you could see 3 of everything and nuts and bolts started to unwind! My hands would be numb after any reasonable length ride. In some ways it was a success, I got the old H1B engine running from a box of rusty bits, married it into the existing KH wiring loom, made the engine fit in the frame, lots of things like that. I tried to rubber mount it, maybe the rubber wasn't stiff enough? I had some suspicions about the crank, never used that engineers again. But most of it I did with home tools in the garage, my Dad, who was an engineer, made the engine mounts for me from mock ups, that was about the most help I had. The K&N's probably didn't help either. In the end I was disappointed with the usable performance. 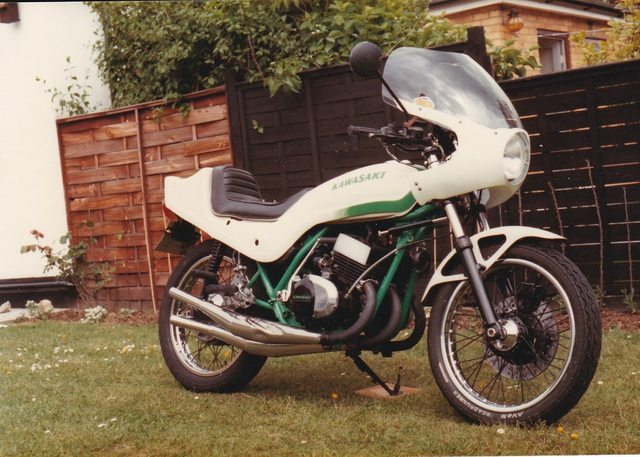 I took it along to that years Triple Club Rally and someone had done the same in a stock KH chassis, to a much better finish, and I was gutted. 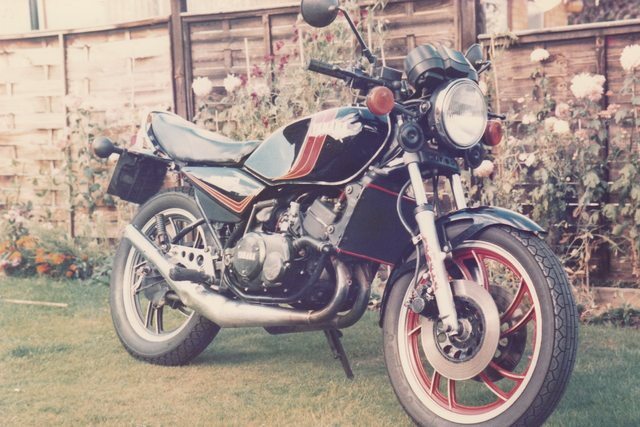 I couldn't keep up with the other lads in the gang, (LC's, RD400's, GPZ550 etc), so I sold it and the KH400 engine to my mate, Kevin Melling who lived in Wickford - he was just setting out drag racing triples, so it got used for that - I went out and bought the secondhand LC, which was a terrific bike. 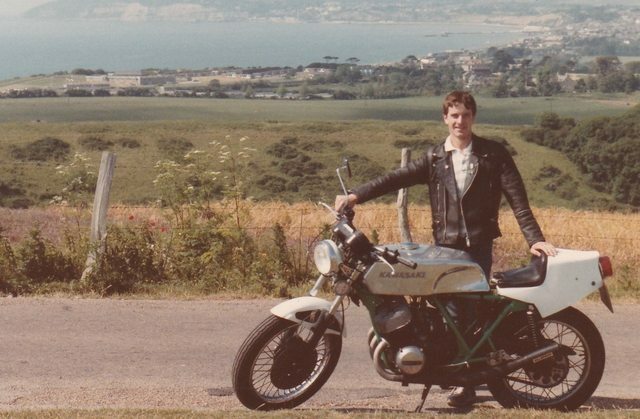 About 18 months later, we all stopped riding or drifted off etc...and that was the end of that chapter. This is it on our yearly trip to the IOW. 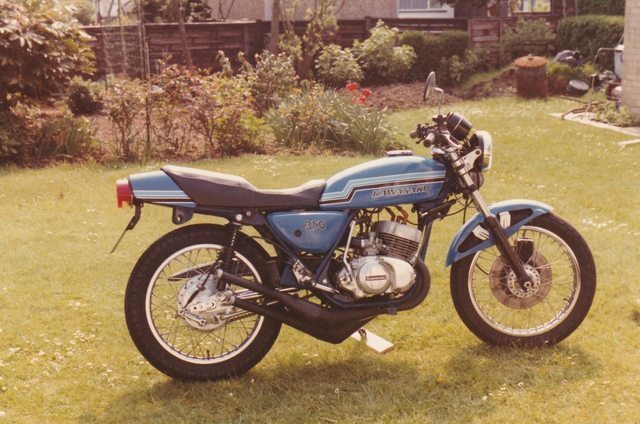 I had a Suzuki ap50 with a pee shooter micron, my mates kept telling me to change it it was so noisy it was embarrassingly loud. Does not have to be RD content. Some good photos and sure there are some good stories that need sharing and putting in print.